Androgenetic alopecia is often referred to as "thinning" and certainly the progessive miniaturization of hairs is a feature of AGA. However, another important feature is the disruption of the normal architecture of how follicles are grouped. Instead of finding follicles in groups of 1, 2 or 3 hair units hairs are often seen all by themselves in more advanced stages of AGA. 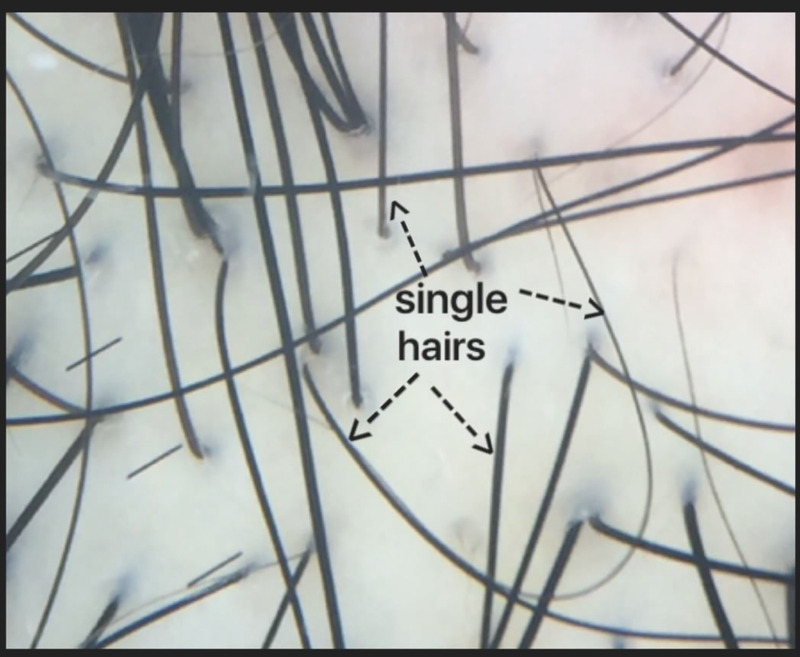 The accompanying photos shows numerous single hairs in a patient with moderately advanced AGA.